So good for mixing. 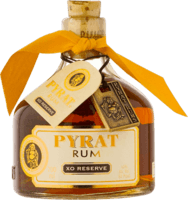 A very easy to drink tropical flavored rum that is great for mixing. I gave it a 7 because it mixes so well with coconut water. Very refreshing blend. Barely drinkable, gasoline-like My friend and I tried to power through a small glass each of this stuff. It was truly awful!